As a driving instructor, you'll be well aware that once your pupils pass their test, they face massive challenges in getting onto the road by themselves. Not least of which is the cost of insurance which has increased significantly in recent years. Now there is a way to help your pupils get a great deal on their car insurance, help secure additional PassPlus bookings, and earn a referral fee for your efforts. That's because Adrian Flux have now introduced a driving instructor referral scheme, whereby driving instructors can earn £50 for each policy taken out by their pupils. 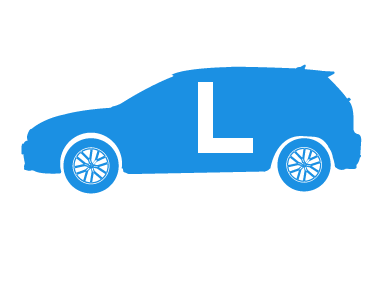 Not only are our driving instructor insurance policies loaded with the benefits and extras which driving instructors want, they also represent excellent value. In fact, on average, driving instructors taking out an insurance policy with Adrian Flux save £92.00. Even better, driving instructors who join our referral scheme can earn a generous commission payment for every pupil who takes out a policy - and with great rates for young drivers and drivers coming back from a ban, and discounts of up to 30% for Pass Plus we are confident that we can offer your pupils a very competitive rate, help increase your Pass Plus sales and reward you for your support. Adrian Flux is a specialist insurance provider offering a wide variety of discounted schemes for young drivers. We are contacting you to offer you our pupil referral facility to earn £50 commission for every insurance policy they take out as a result of your referral. With over 40 years experience we'll be able to help them get their first car covered. In addition we also offer competitive rates and welcome convicted drivers who are returning to the road following a ban. If you are interested in joining this facility please contact dealer team on 0800 916 1250. You will be allocated a unique reference number, ("i" Number) which will be identifiable by our Quotes Centre as being your Driving School. We will send you a batch of your own personalised cards to hand out to your pupils which will state your bespoke "I" number. We ask specifically for the unique reference number shown on the cards when your pupils call the FREEPHONE Hotline Number stated on the cards 0800 081 0446 and we will ensure that we send you an INTRODUCER FEE OF £50 every time we write a new policy to thank you for your support. We'll give you and all your pupils a great deal!